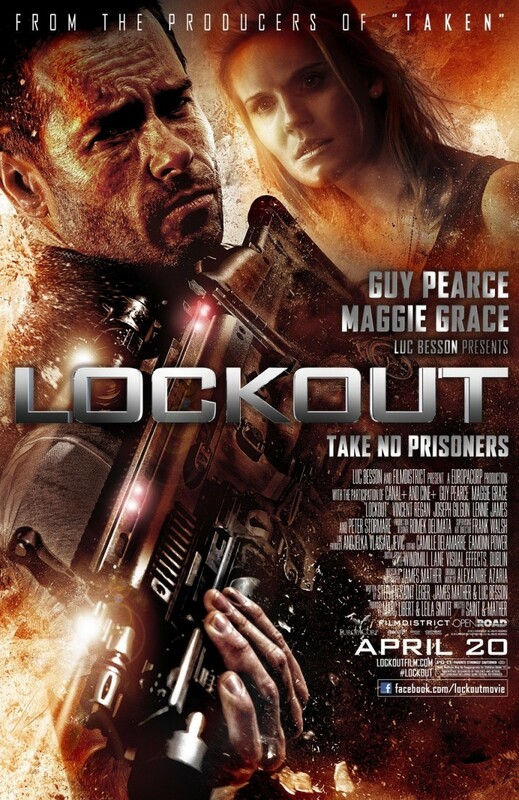 Lockout DVD and Blu-ray release date was set for July 17, 2012. The MS One prison is located in space and is used to keep the most dangerous criminals in stasis. Emilie Warnock, the daughter of the president, travels to MS One to inspect the facilities and to dispel rumors that the stasis negatively affects prisoners' minds. Soon after her arrival, two homicidal brothers take over the prison with her inside. Surrounded on all sides by rioting inmates, Emilie's only hope is disgraced CIA agent Marion Snow. He must infiltrate the prison and save her before the convicts can find and kill her.